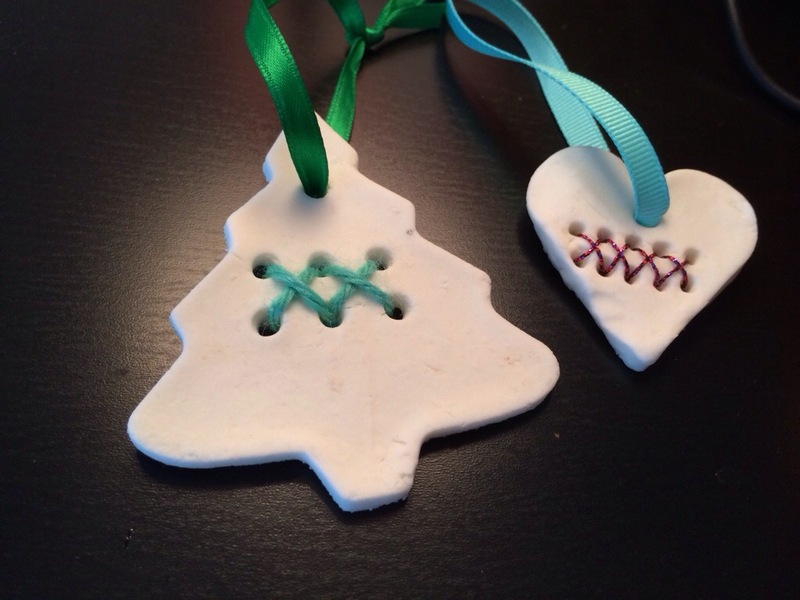 Cross Stitching Dough Ornaments – An Experiment! 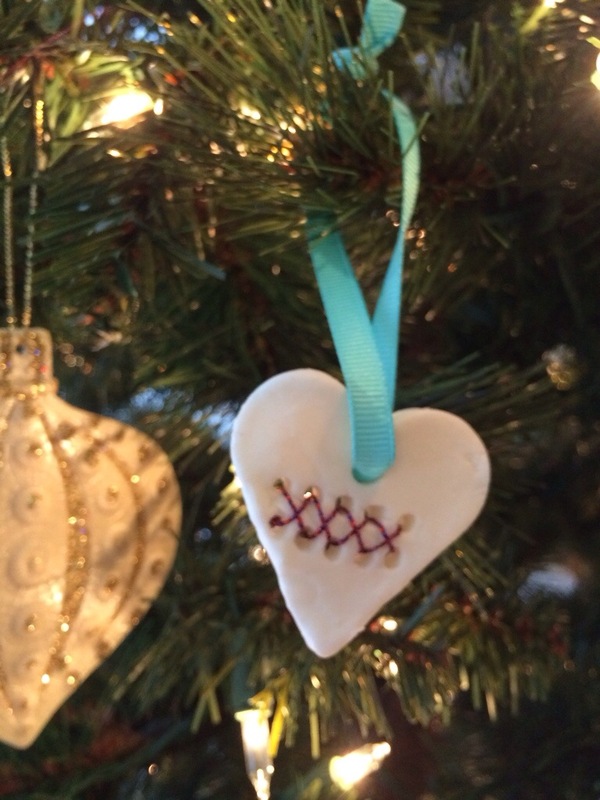 You are here: Home / Cross Stitching / Cross Stitching Dough Ornaments – An Experiment! This week we are having an ornament decorating party with a few of Evie’s friends so we made a batch of this cornstarch dough and went to town with cookie cutters. I always use a straw to poke a hole for the ribbon to hang the ornament, and I got the idea to poke some holes for cross stitching! For the Christmas tree I used the same straw for the holes. They are bigger and that’s why I used the yarn for stitching. The holes shrink a little when the dough dries, so I wanted to make sure they were big enough for a needle. They could have easily been smaller though and that would have allowed for more holes. For the holes on the heart ornament I used a bamboo skewer. While this resulted in smaller holes than the straw, they aren’t as clean. I tried the yarn for this one but the stitches looked too thick. So I used the Kreinik metallic braid for it. I love the sparkle, but I think I should have used a thicker braid. I love the look of the cornstarch dough more than salt dough. The white ornaments are perfect for painting, but it is also more fragile. They are already starting to crack a bit as they dry. 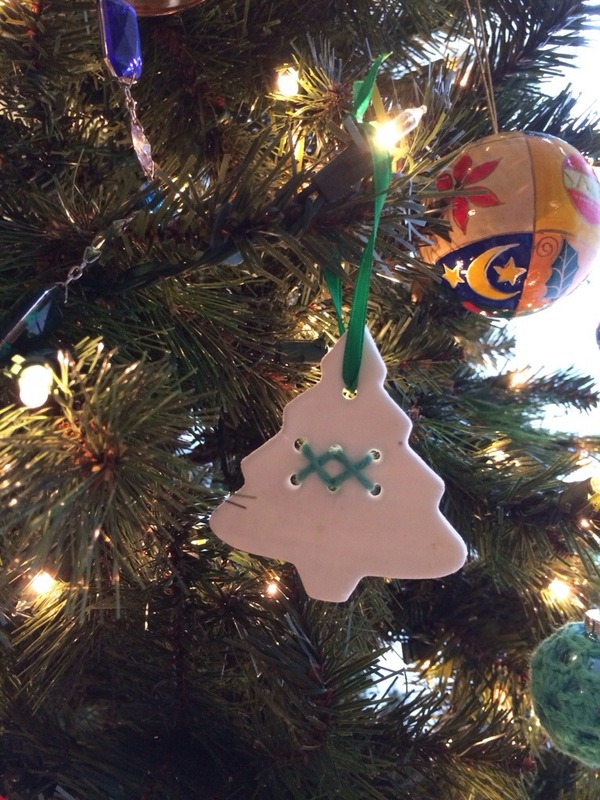 My friend mentioned trying out glue dough for ornaments, and I think I would like to try that. I LOVE the look of these! So clever!